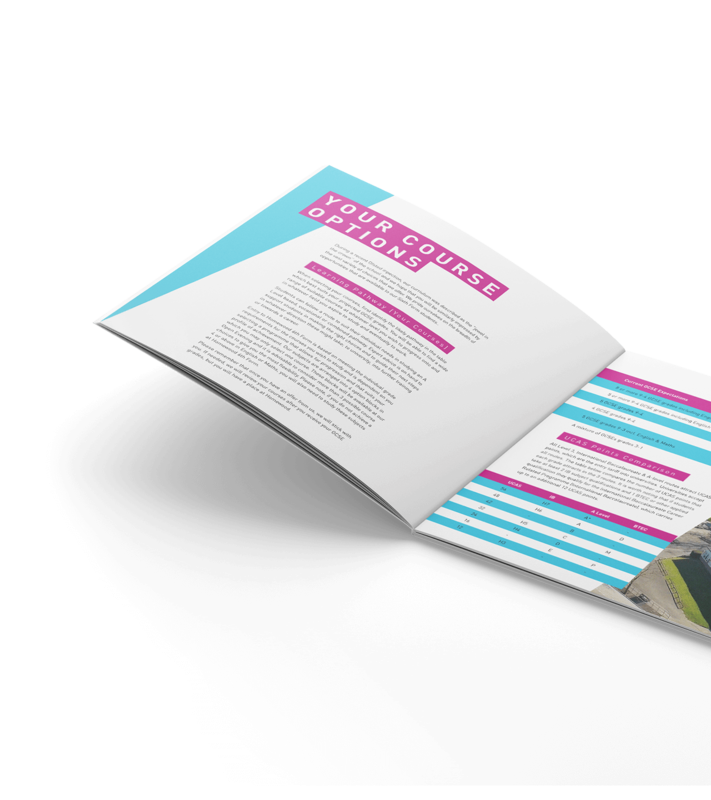 Following the completion of the Homewood school prospectus and website, we were asked to design and produce a separate website and prospectus for the Sixth Form College. The design is aimed at decision making year 11 students. Very closely based on the look and feel of the new Sixth Form website that we designed, this printed prospectus was created as a physical ‘take-home’ reference for parents and students alike. 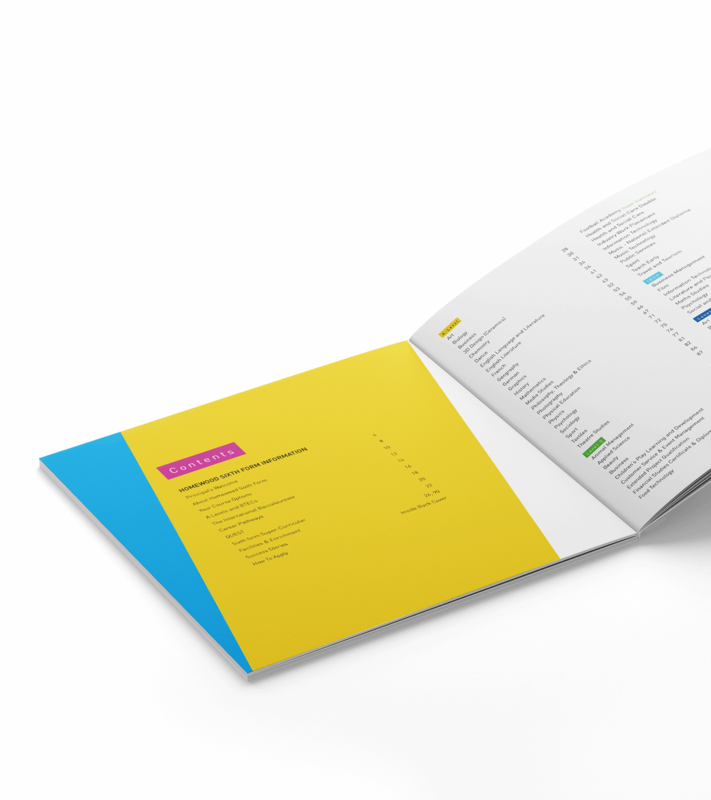 Sections were colour coded and listed in a contents area by course type. Photography was treated in the same way to provide continuity with the website and following final approval, the prospectus was printed, perfect bound and delivered by our friends over at colorbank.com. Clear, statistic led plus points. Everything considered to deliver easy navigation. Designed to maximise space but retain clarity.